I have been busy running through ideas for automated instruments I could use to enrich my performances at open mic nights. One of the main points of interest for me is percussion as it is usually quite over looked at open mic nights apart from the occasional set of bongos. I have been drawing up sketches for a snare drum played using dropping marbles and also for a cassette player hack. The main hurdle for any automated instrument is how will it be sequenced to play itself. 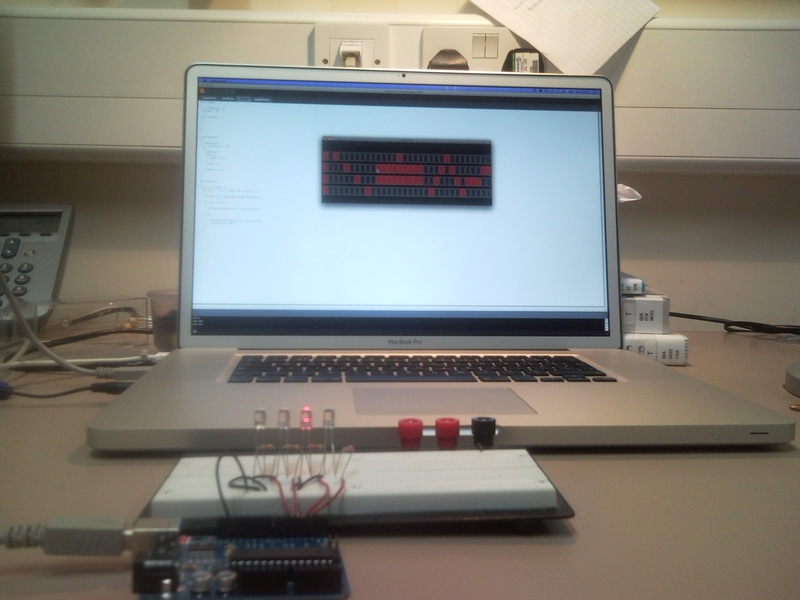 Last night I sat down for a while and coded a very very basic sequencer in processing that controlled an Arduino with Firmata installed. There is nothing fancy about the code but I believe this will be a good solid starting point for most of the automated instruments I could ever imagine. 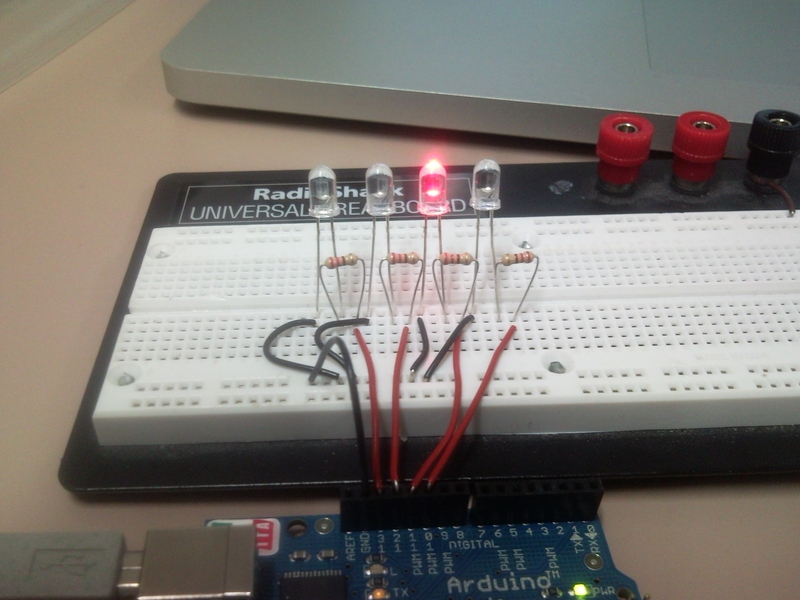 There are some images below of the basic setup and a video of the sequencer on the screen and the Arduino carrying out the sequence using LED’s. I am quite happy to publish the source code on request.